Perhaps it’s the sound of a child’s laughter, a shy smile, a tear of frustration, or the need within you to help others. Wherever your inspiration comes from these children need your help. In the U.S. there are 518,000 children in foster care because their own families are in crisis and or unable to provide for their essential needs. Everyday, 850 children enter our nations foster care system. As of November 2010 there were only 80 licensed foster homes in Santa Barbara County and 636 children in foster care. These are our children. Foster children are normal children plus more. When the “label” is removed, they are much like your children, nieces or nephews, but with very different experiences. Each child has a unique story, they are frequently filled with fear, confusion, a sense of powerlessness and some are struggling to control their anger because they’ve been removed from the only home they’ve ever known. They are children ranging in age from 0-18 who have been removed from their home because of physical or sexual abuse, neglect, abandonment or because their parents may have died, have a mental or physical illness and or a substance abuse problem. Many of the abused and neglected children that are removed from their homes will then be bounced from location to location often with their personal belongings in trash bags slung over their shoulders. Foster children are often overwhelmed by the names, unknown faces, and traditions of their new family. Self-esteem, or lack of, is often a major barrier to success for children in foster care placements. Children begin creating their self image at a very young age and it ultimately defines their thinking, behavior, creativity, stability, and personal integrity. Tragically, repetitive negative experiences, dysfunction and family disruption all contribute to a negative self image. Children typically blame themselves for the abuse and neglect they have experienced, which destroys their self-image even more. All children deserve a safe and nurturing home. It is their birth right; it should not have to be earned. 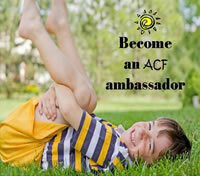 Children need an environment where they can complete the developmental tasks necessary to become healthy adults. When children have lived in families that have not been able to provide such an atmosphere, foster care can provide a positive environment where children are assisted in becoming whole again along with giving them a sense of belonging for the first time in their lives. In the U.S., there are 518,000 children and youth in foster care because their own families are in crisis and unable to provide for their essential needs. Children in foster care suffer from post-traumatic stress disorder at twice the rate of U.S. war veterans. 3 out of 10 of the nation’s homeless adults report a foster care history. 70% of 17 year-olds in foster care express a desire to go to college. Just 54% will finish high school, and only 2% will earn a college degree. Only 38 % of foster care alumni are employed 12 to 18 months after discharge from leaving foster care. Many children in foster care may never belong to a club, but will only be defined with the label “foster children”. These children need participation in clubs or organizations because they help create a sense of stability and foster friendships in a very lonely time of their lives. 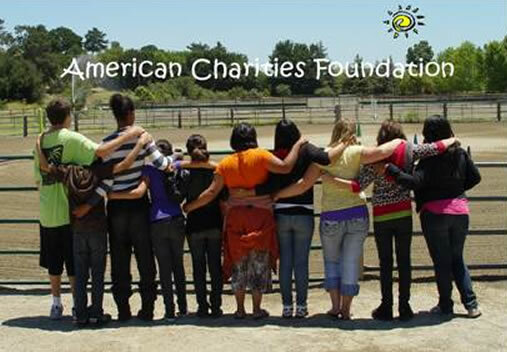 Through ACF Riding Club these children will be provided the opportunity to participate in our ranch program where social, mental and physical aspects of their lives are enriched through bonding with peers and interacting with horses. In addition to our equine program, expressive arts and recreation are a large component of ACF. There are a variety of recreational services – play, arts, drama and sports – to help these children make the most of their lives – mentally, socially and physically. They are dedicated to “the joy of being a child”. For those children who are getting ready to “age out” of the “system” financial assistance will be available through national academic and vocational scholarships along with mentor and intern programs that are designed to boost self-esteem and encourage independence and living skills through education. The EAA Young Eagles Program was launched in 1992 to give interested young people, ages 8-17, an opportunity to go flying in a general aviation airplane. These flights are offered free of charge and are made possible for us through the generosity of local Chapter 491 EAA member volunteers. More than 1.5 million youth have enjoyed a flight through the program. Young Eagles have been registered in more than 90 different countries and have been flown by more than 42,000 volunteer pilots. 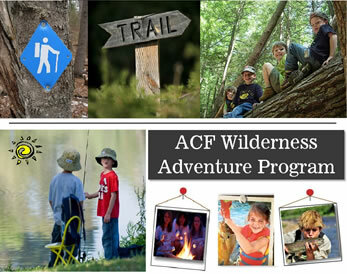 Our program engages children in exploration of the natural world. It encourages them to appreciate and learn about the environment and how humans impact it while hiking on scenic trails around Santa Barbara County and fishing in the ocean and local lakes. While hiking and fishing, youth participate in hands-on science activities to learn about their natural surroundings. Fishing and hikes are offered to engage and teach children about hiking and fishing safety, first aid, Leave No Trace, catch and release, trees, rocks, deciduous and wetland ecosystems, and animal adaptations. We are asking for your help. And, the nice part is that it’s easy to help a little or a lot. Become a corporate, business, family or friend sponsor, host a toy drive at your Church, Temple, school or organization, make a donation for technical support and gift cards, or drop off new unwrapped toys and/or clothing at numerous locations across Santa Barbara County. Let’s make sure no child is forgotten. 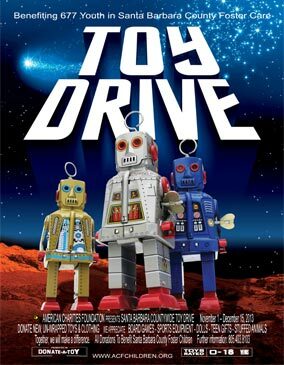 Warm a child’s heart this holiday season and all year long by DONATING to the toy drive. $5.00 donation per raffle ticket. Tickets will be sold until March 19, 2011 when winner will be announced. And, the winner is…..Kevin Keller! Congratulations, Kevin!!!!! 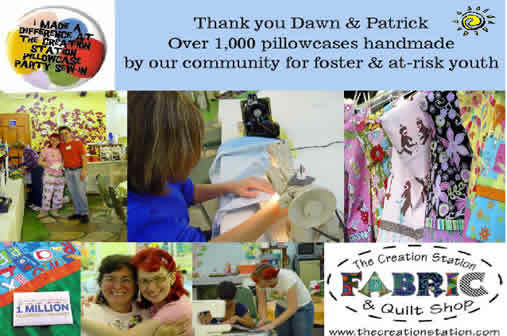 The Peddler’s Marketplace was created by ACF as a fundraising event to support and promote awareness of the “Forgotten Children” in Santa Barbara County foster care. There were over 60 artisan and vendor booths participating including foster agency guest speakers, an organic farmers market, live musical performances, an award winning caricature artist and children’s zone; with balloon artist, clown, face painting and skate board demonstration. The Santa Ynez Valley Therapeutic Riding Program has established a new equine facilitated mental health service under the guidance of clinical psychologist Dr. Mary Ann Evans and certified equine director Peggy Fowler. 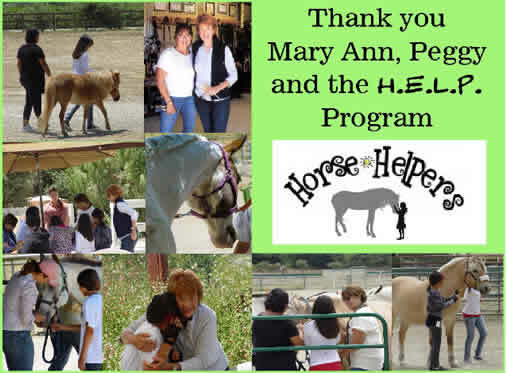 Their new program is called Horse Enlightened Learning and Psychotherapy (H.E.L.P.). We are pleased to announce the collaboration between Horse Enlightened Learning and Psychotherapy (H.E.L.P.) and American Charities Foundation. Dr. Mary Ann Evans has graciously offered to extend their services to teenage foster youth in their newly established H.E.L.P. program. We’re delighted to announce that artist Dana Bauer has donated her artwork for our ACF Riding Club logo. Thank you, Dana! Browse Dana’s large selection of gifts and horse art. Put any design on a stall sign, t-shirt, sweatshirt, hoodie, or greeting cards! 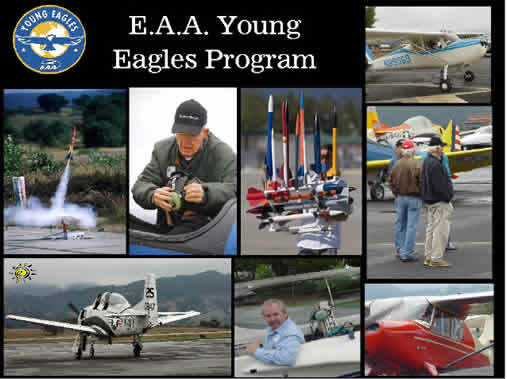 American Charities Foundation and over 50 youth of Santa Barbara County would like to thank EAA Chapter 491 for sponsoring a Young Eagles event. Young aviators and NASCAR racing enthusiasts got to experience the opportunity of a lifetime by turning their dreams into reality with a FREE flight over the Santa Ynez Valley and the chance to sit behind the wheel of NASCAR Champion Christian Copley's racing truck. 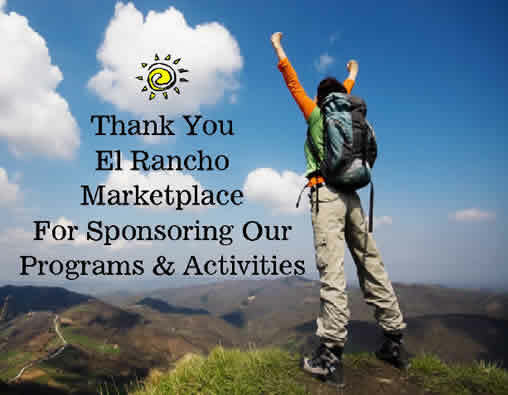 Thank You El Rancho Marketplace for donating the wonderful lunch. 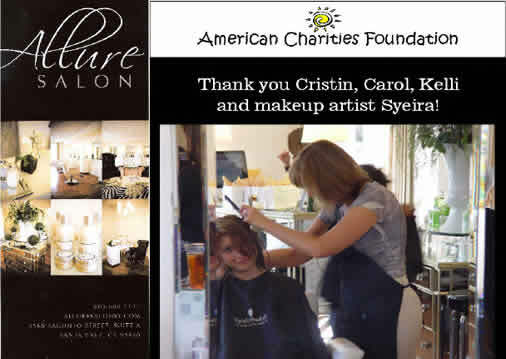 We would like to thank the Allure Salon in Santa Ynez, CA. for hosting an afternoon of pampering. The day featured owner Cristin Holmsen, stylists Carol Czajka & Kelli Willingham donating their time to create high end cuts, styling, coloring & treatments for the teens. Local makeup artist Syeira Simon donated her creative talents to give the girls new looks. 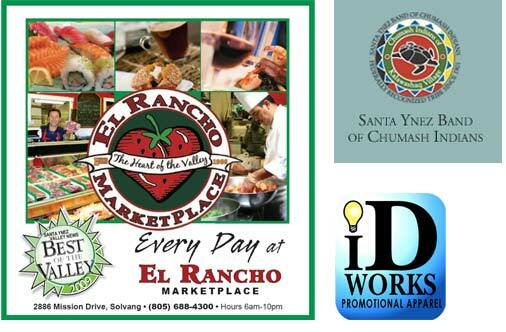 Making the day even more special El Rancho Marketplace donated the delicious brunch.